Within a span of a week, this is the second time that we get to hear news about train derailment. 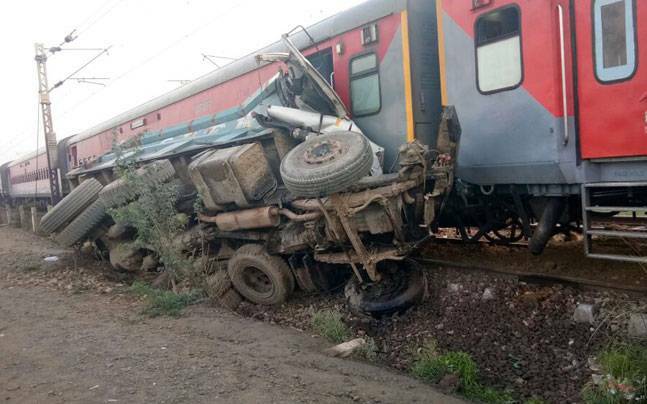 On early hours of Wednesday, August 23, 74 people were injured after 8 coaches of the Kaifiyat Express derailed and one overturned in Auraiya in Uttar Pradesh. No deaths have been reported so far due and the rescue operation is on going. The train met with an accident after a loader carrying sand overturned on the road parallel to the track in Achhalda area of Auraiya district at around 2.45 am. 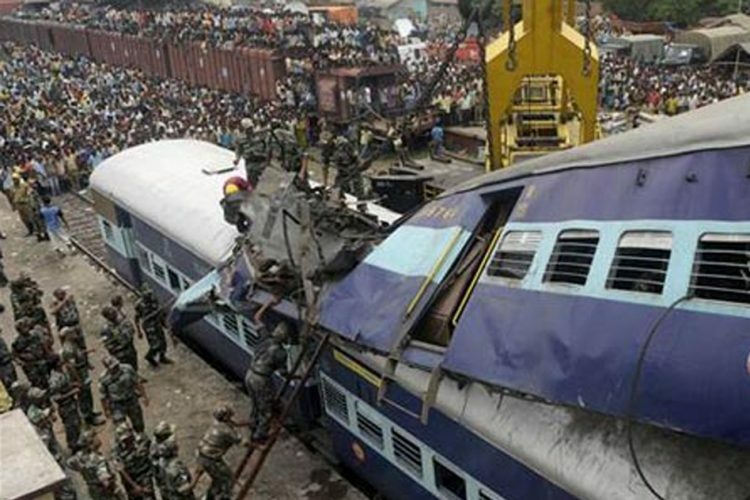 Union Railway Minister Suresh Prabhu said that the injured have been shifted to a nearby hospital. An NDRF team has been deployed to the accident spot to conduct rescue operations along with a relief train to deport the injured. 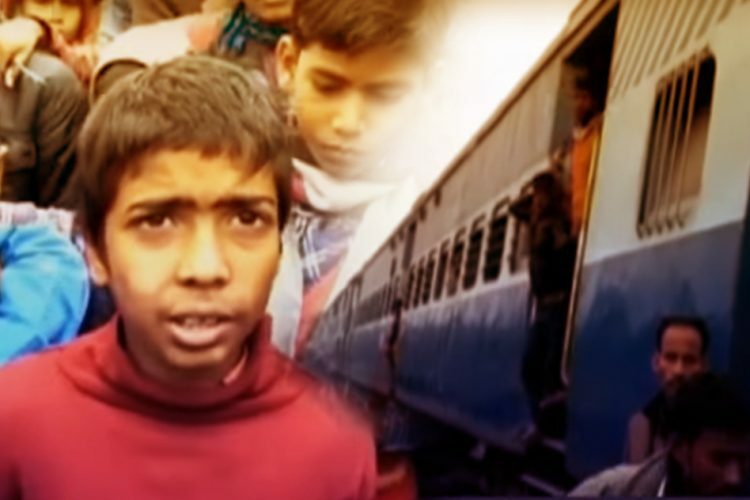 All passenger trains scheduled to run on Kanpur-Tundla route have been cancelled and more than 40 trains were diverted after Kaifiyat Express derailed today early morning. 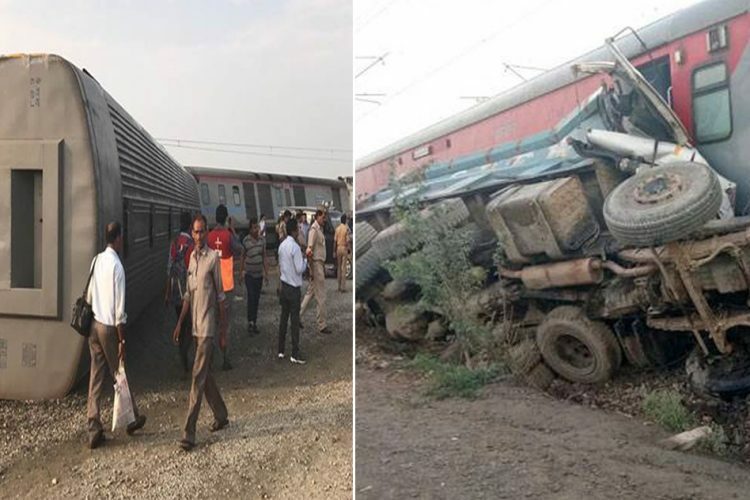 This incident comes after the tragic UP train derailment where at least 23 people were killed and around 400 injured after 14 coaches of the Puri-Haridwar Utkal Express derailed at Khatauli, near Muzaffarnagar, Uttar Pradesh on Saturday evening, August 19. 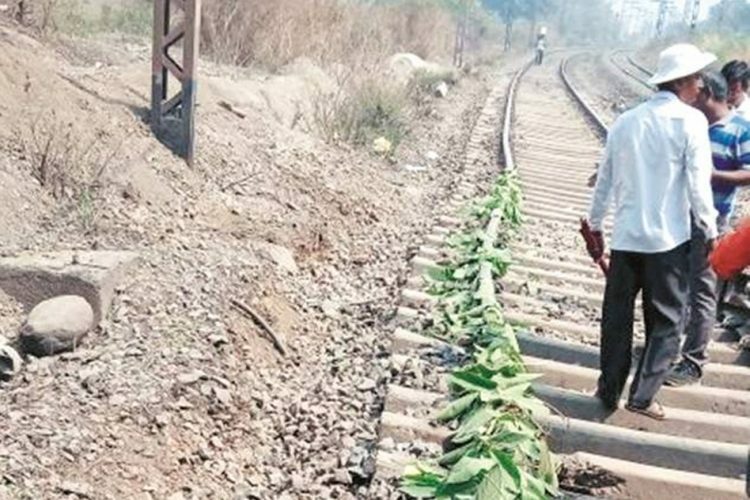 The accident was caused due to human error – some repair work on the tracks was in progress, of which the station master Rajinder Singh claimed to have been unaware of. The second derailment incident comes immediately after Railway Ministry’s claim that train accidents have declined in the last three years. 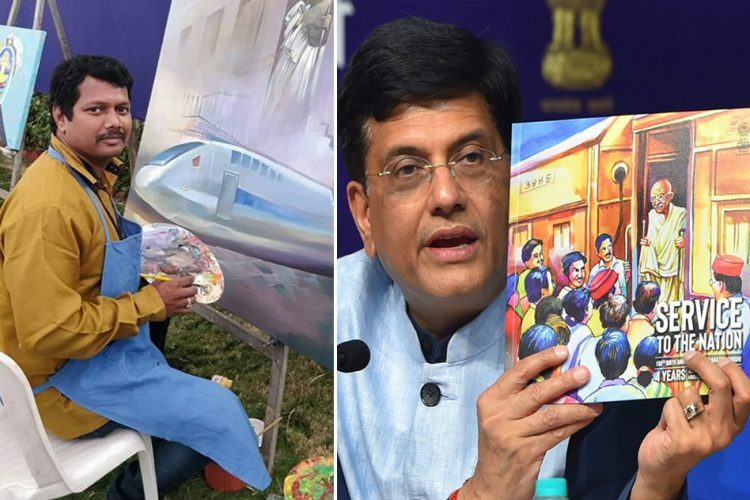 After the UP derailment tragedy, the ministry faced severe criticism and under attack, it said that the number of train accidents in the last three years has declined. 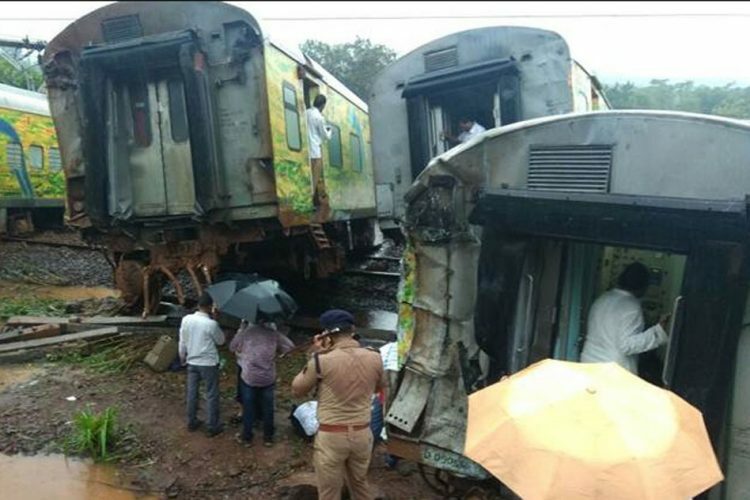 In 2014-15, the number of train accidents was 135, which fell down to 107 in 2015-16 and further to 104 in 2016-17, the rail ministry said. On the other hand, the reality is that there were 117 accidents in 2013-14 which increased to 131 in 2014-15; and the number of deaths in each financial year was 42 and 118 respectively – an increase by almost three times. In spite of claims by the Railway Ministry, such incidents of train derailment never cease to occur. One can say without a doubt that the ministry seems to have lost the sense of accountability and there is absolutely no value for the lives which are lost. The underlying question remains, what are the safety measures taken for the passengers after repeated mishaps of train derailment? In this context, the usage of the word ‘mishap’ refers to a disaster which could have been avoided. After such horrible incidents, routine inquiries are ordered, the report of which is submitted by the commission after several months. By this time, the public already has forgotten about the incident. Another question which crosses one’s mind is – what is really ailing the Indian railways? Most accidents are met with oft-repeated reactions like strictest action shall be taken against the guilty. Days pass, inquiry commissions submits reports to assess which accident has had the most damaging effect, unless another case of derailment again makes it to the headlines. The Indian Railway has lost its focus on operations. It runs as an organisation systematically managed by successive governments who lack the understanding of the organisation’s potential. The government should look into the matter on a priority basis and make sure that such fatal mishaps are avoided. 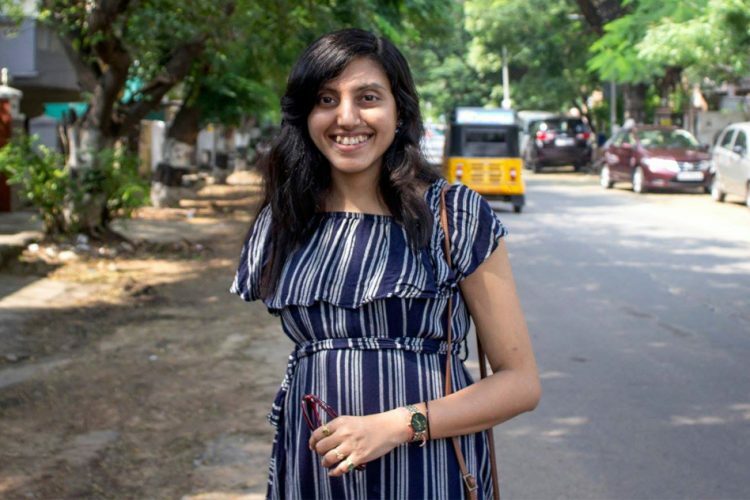 The Logical Indian urges the government to bring in changes in the infrastructure, in terms of betterment of tracks so that such cases of derailment does not occur on such a frequent basis. Lakhs of passengers travel on trains every day and nothing justifies negligence on part of railway authorities.